There is an old saying that bears much truth: “When the phone rings at 2:00 a.m., it is usually bad news.” For most people, such an hour is meant for sleeping. But when a family member is away from home, or a loved one is ill, phones ringing in the wee hours are an ominous sound. Often the first phone call prompts another; it is time to call the pastor. 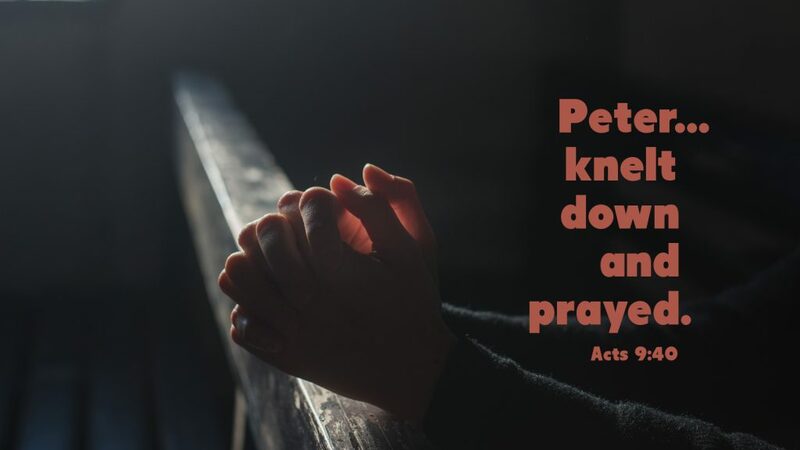 When Peter was in Lydda, he healed a man who had been bedridden for eight years. News of this miracle traveled to the neighboring town of Joppa where a woman named Tabitha had died. The people in Joppa called Peter, begging him to come quickly. When he arrived, grief had taken hold. Yet, Peter brought hope and peace in the name of Christ Jesus. Still today, pastors are among the first called when loved ones face times of trial. Sickness and death are quickly followed by grief and a sense of loss. The only source of comfort is the hope and peace of Christ. The presence of the pastor is a welcome sign, but it is the presence of Christ made manifest that brings hope. Prayer: God of comfort, in times of trial, fill our hearts with your peace. Amen.